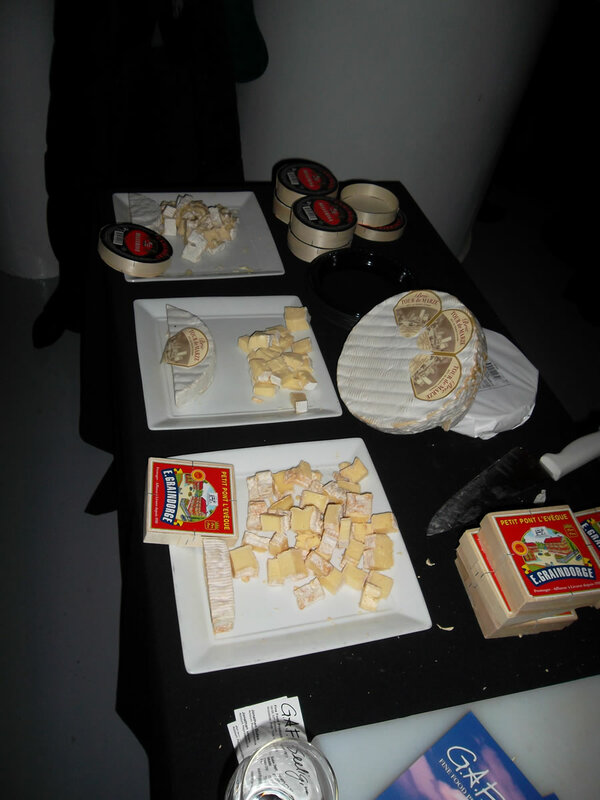 Quite by chance, a friend clued me up on a celebration of stinky cheese that was going on in early February. 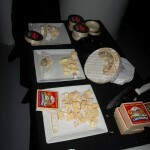 As a lover of both cheese & booze, I felt it was my duty to attend, stuff my face full of cheese & report. 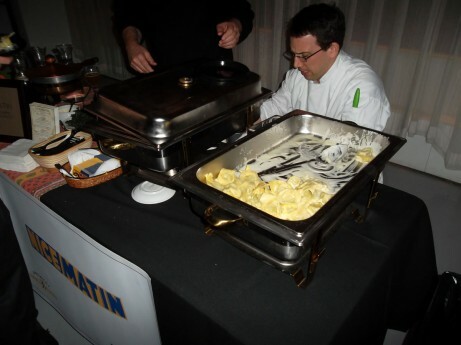 The event took place at a tri-level event space in Hell’s Kitchen. 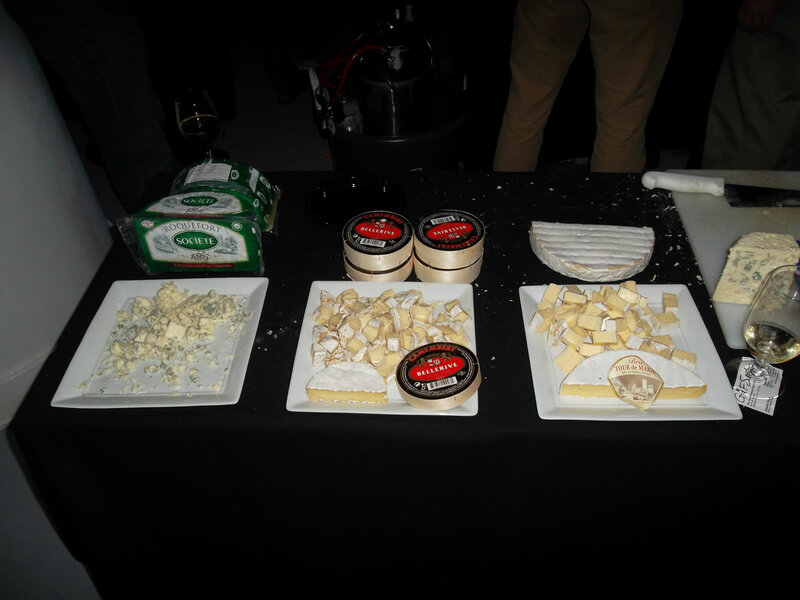 It featured both raw & cooked cheeses as well as a large selection of beer & wine. It was a bit of a free-for-all with importers, restaurants & brewers manning tables throughout the space. I started at the G.A.F. Seelig (a ‘fine food purveyor’ based in Queens) table which was right by the entrance & had my favorite cheese of the night; Pont-l’Évêque from E. Graindorge (seen in the square box in the picture). Nice Matin from the UWS went large with a suitably stinky Gorgonzola tortellini that was my favorite cooked dish of the night. I’m not sure if it’s on their menu, but I thought it was a bold move as it had a really strong smell & flavor. I thought it was delicious! Goose Island had several beers on offer. I tried the Goose Island Society a light white beer aged in champagne barrels & topping out at over 6%. I’m a sucker for good beer so I was in heaven. 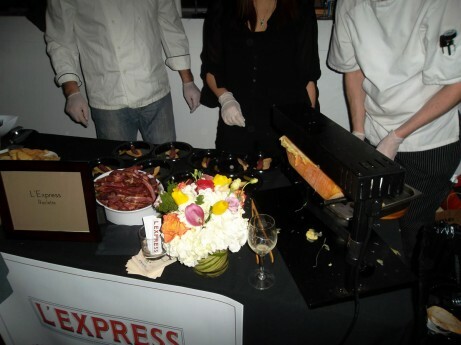 L’Express got kudos for the best service contraption which melted cheese for their raclette served with smoke pork. Barbounia (review here) had a sweet ricotta dish with dates & syrup, it was the only dessert option that night. As I mentioned earlier, it was a bit disorganized, I got separated from my friends pretty quickly & the cheeses weren’t all labelled. It was hard to tell what you were eating, but I found what I liked & just camped out at that table for a while stuffing my face. I had some really great stinky cheese & I’m glad I went!